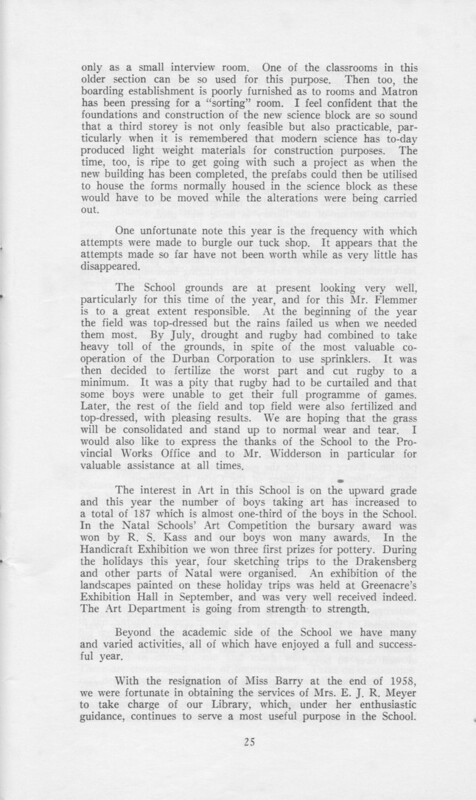 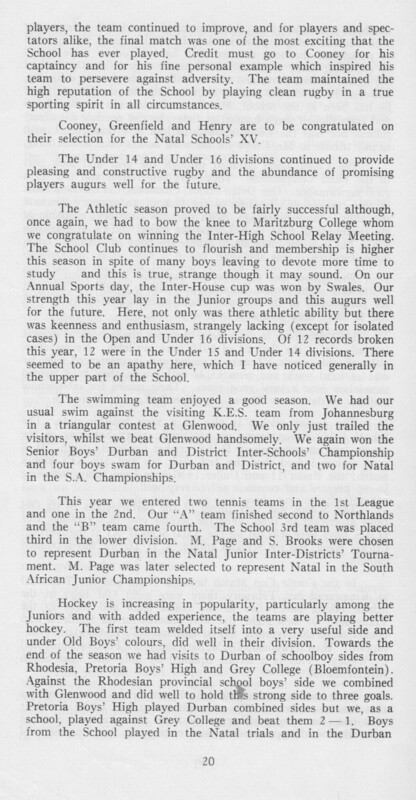 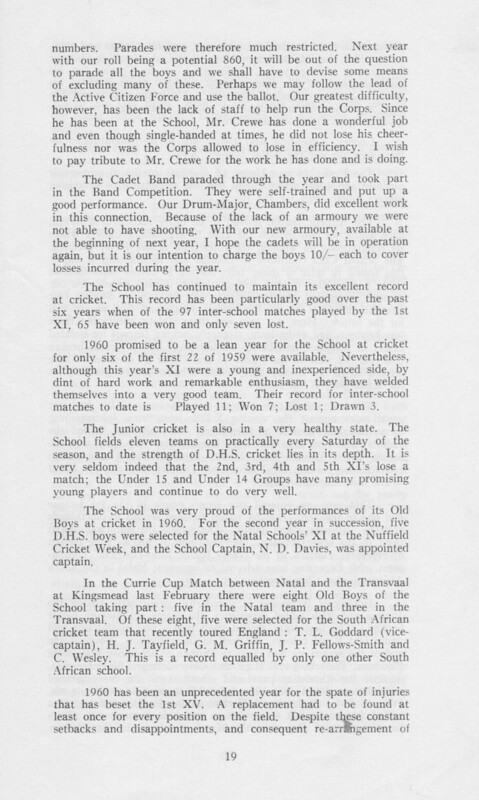 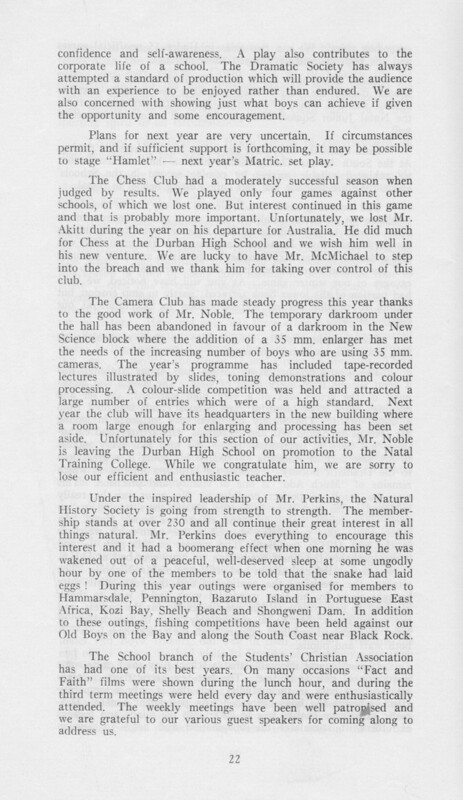 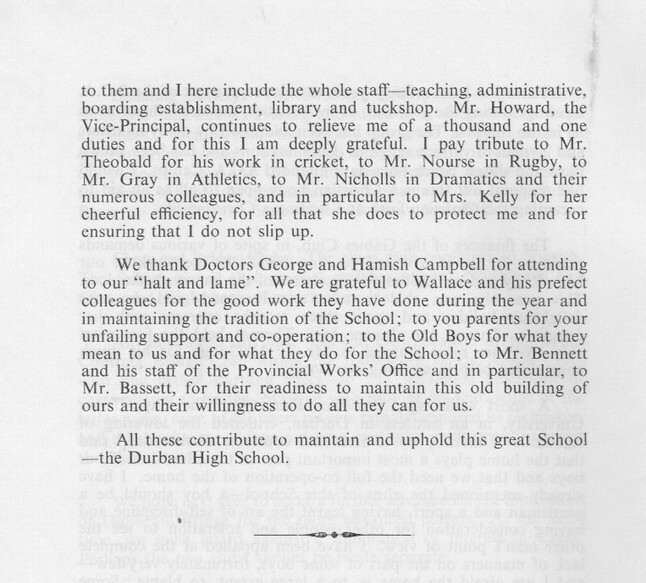 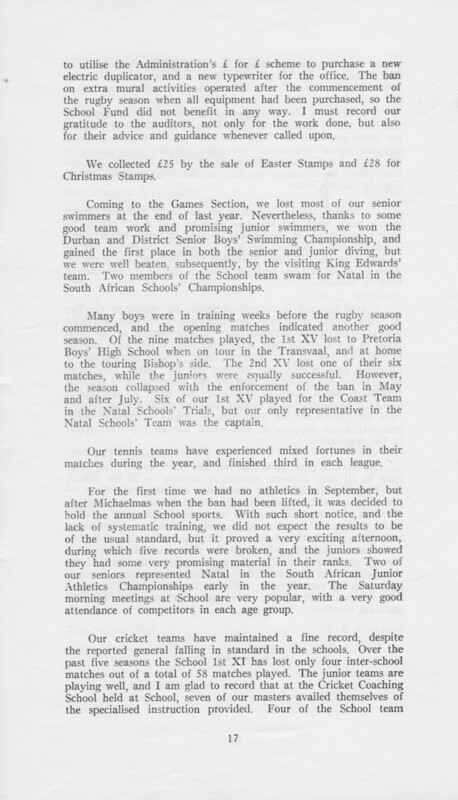 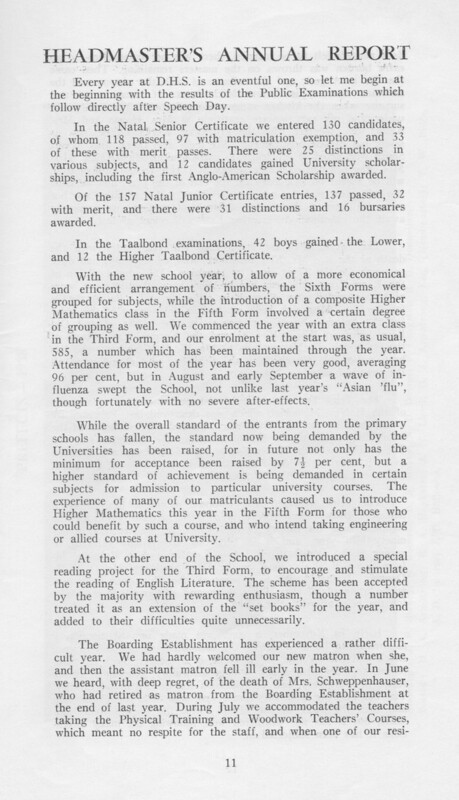 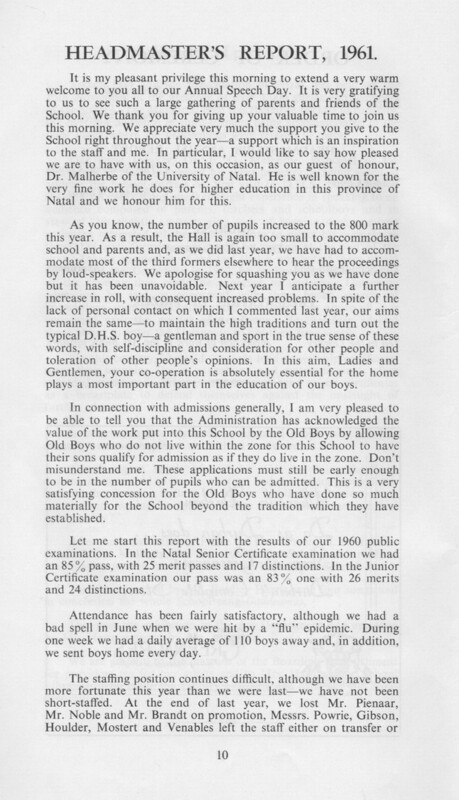 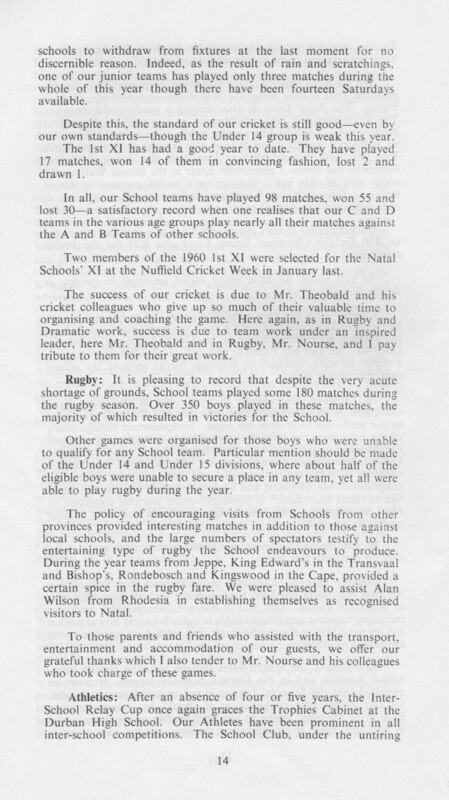 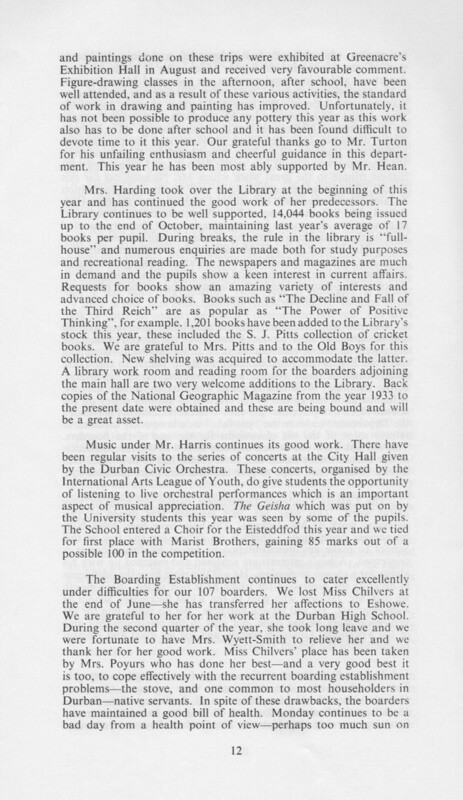 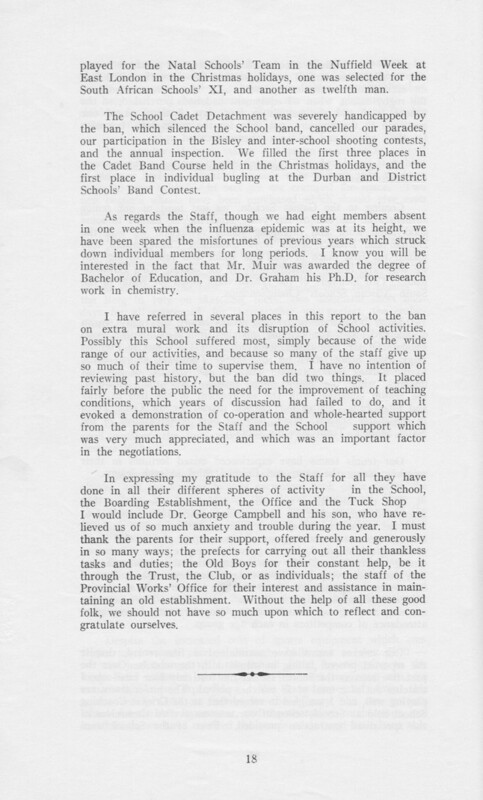 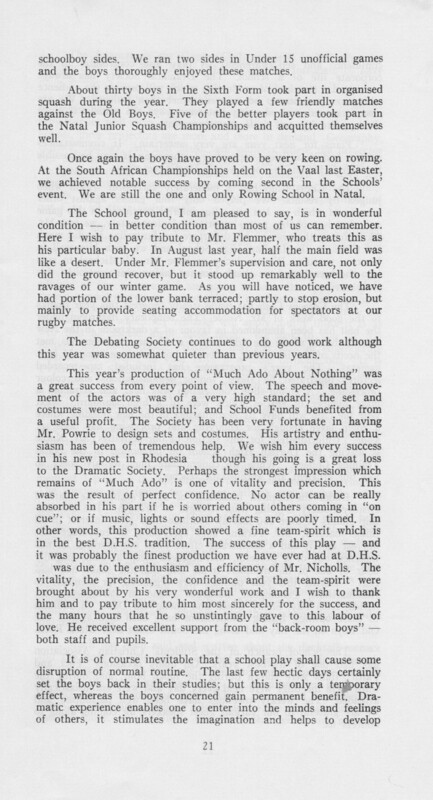 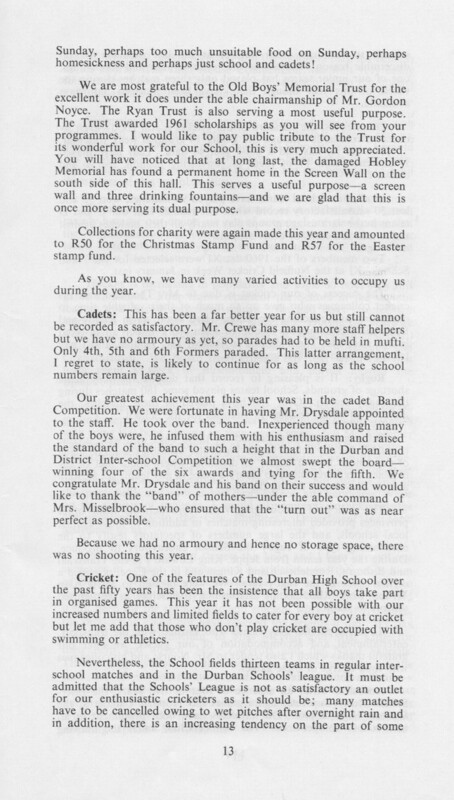 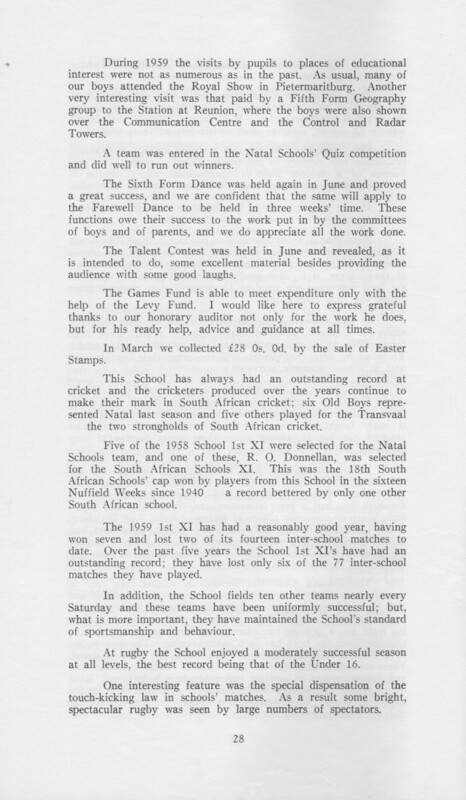 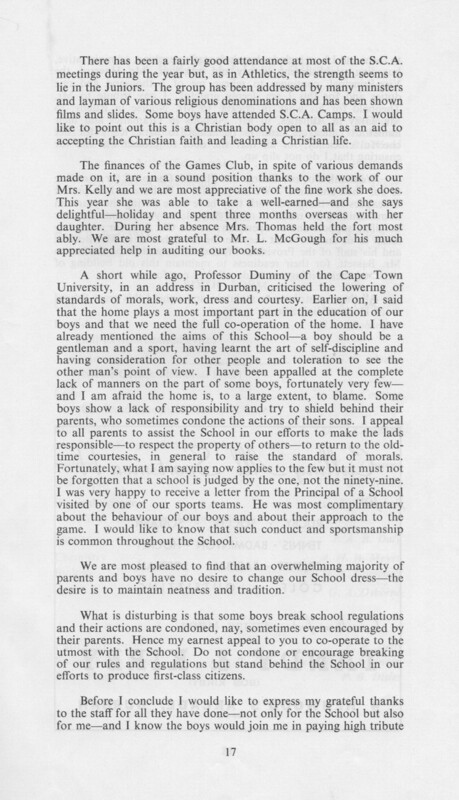 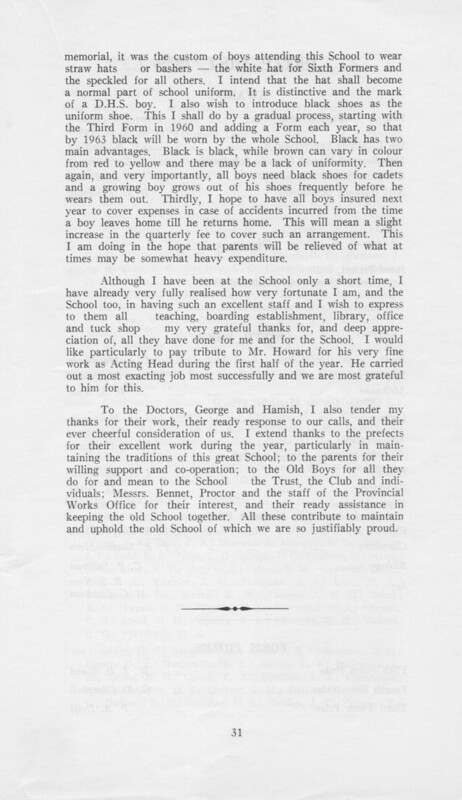 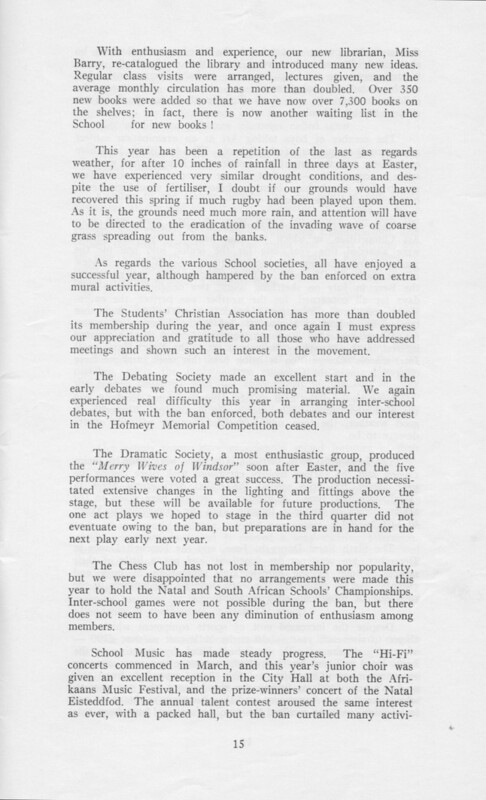 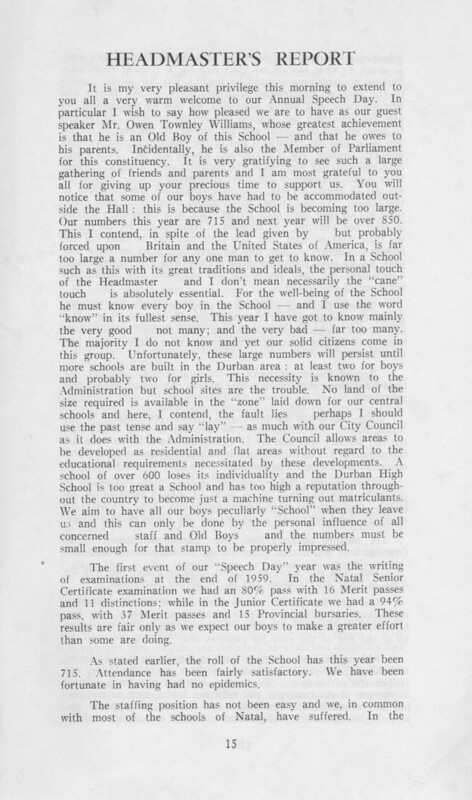 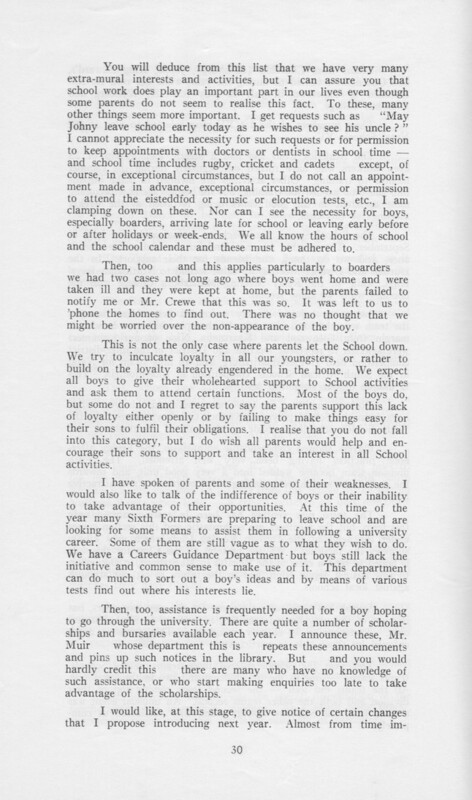 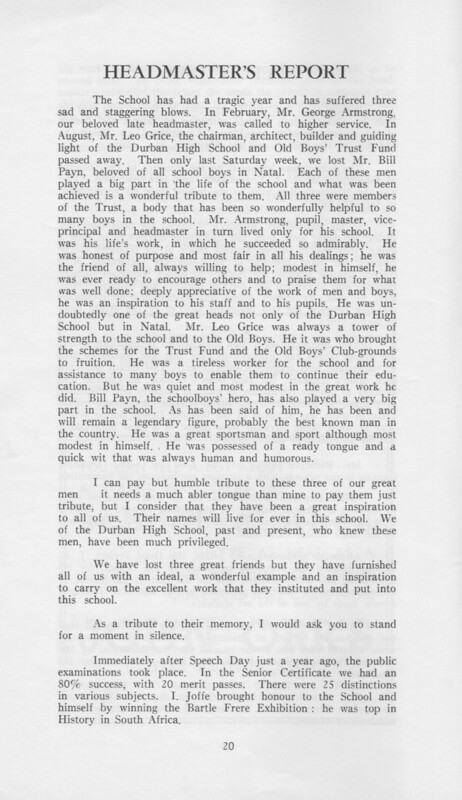 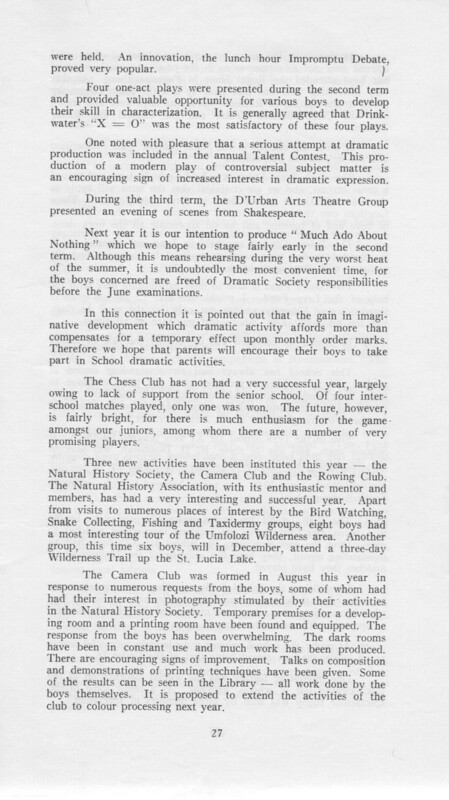 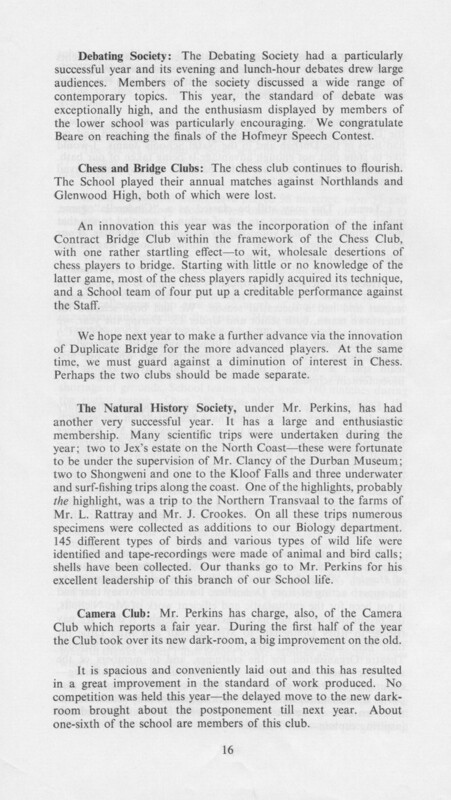 At "Speech Day" every year, the headmaster delivered his report on the school's activities over the previous year. 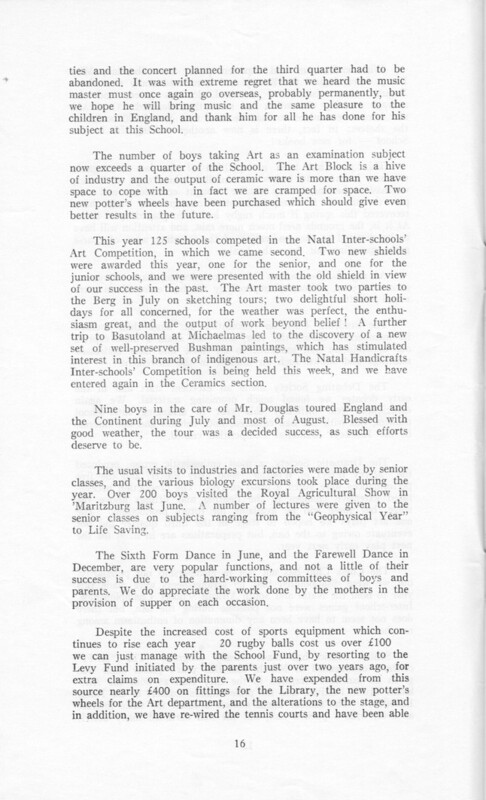 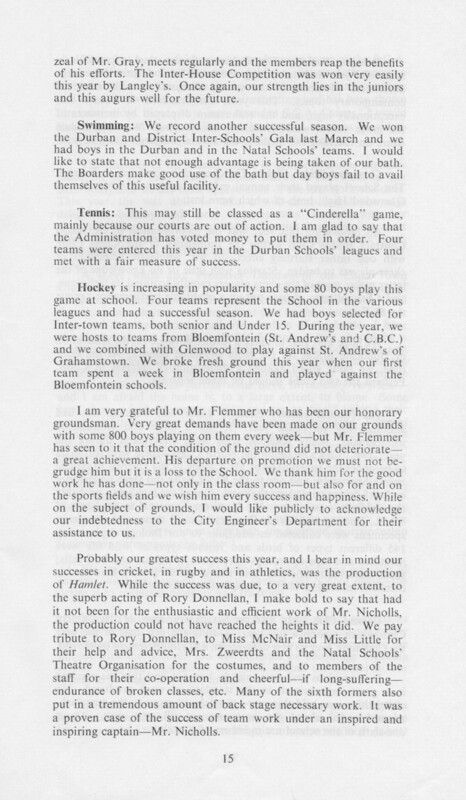 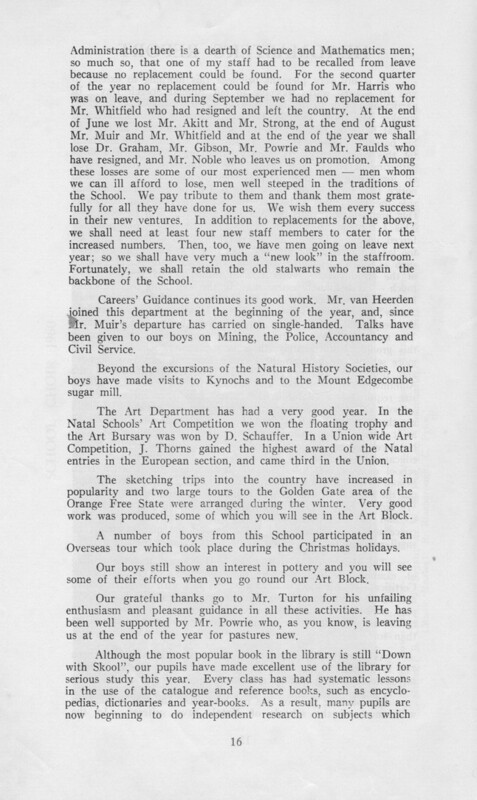 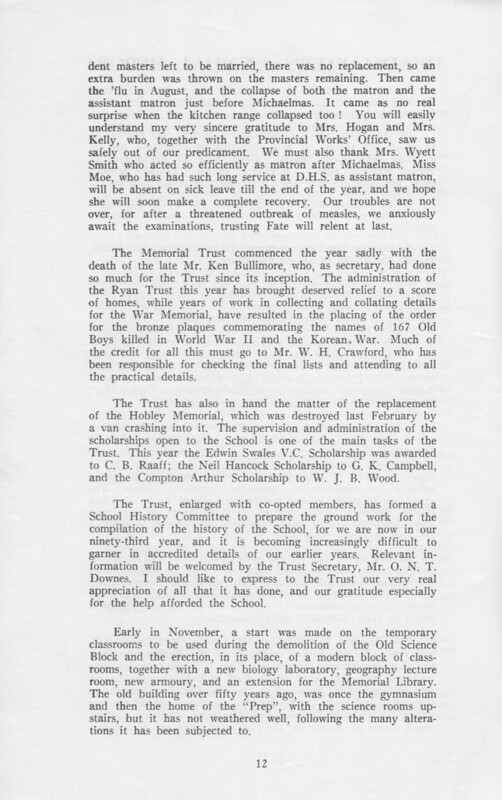 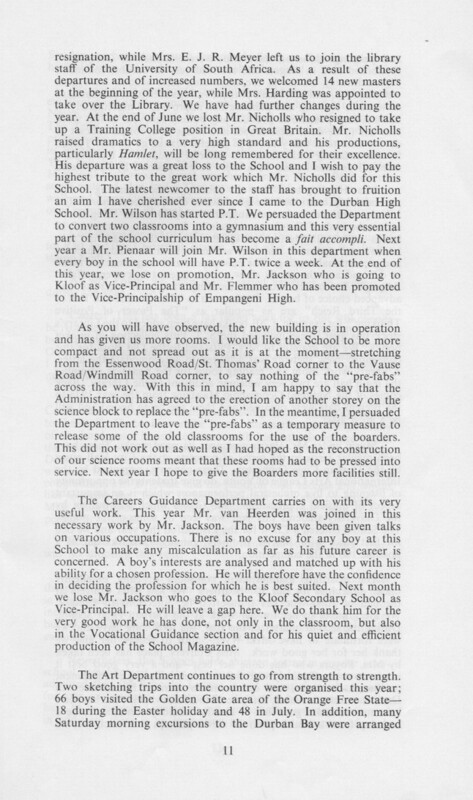 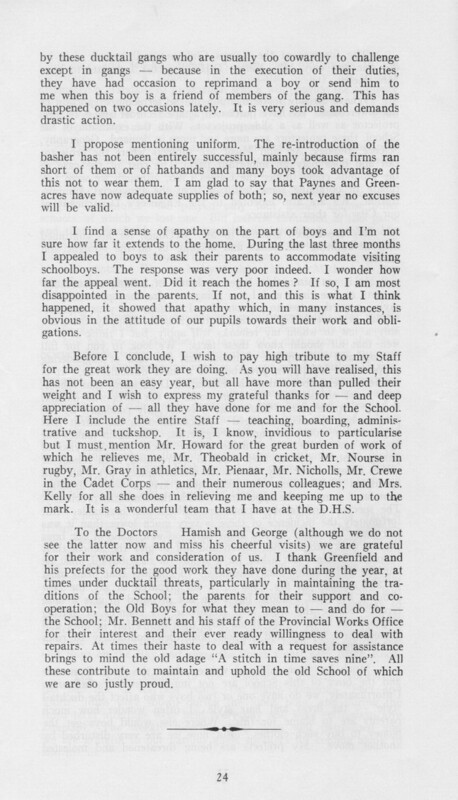 These reports provide a comprehensive "official" view of the life of the school. 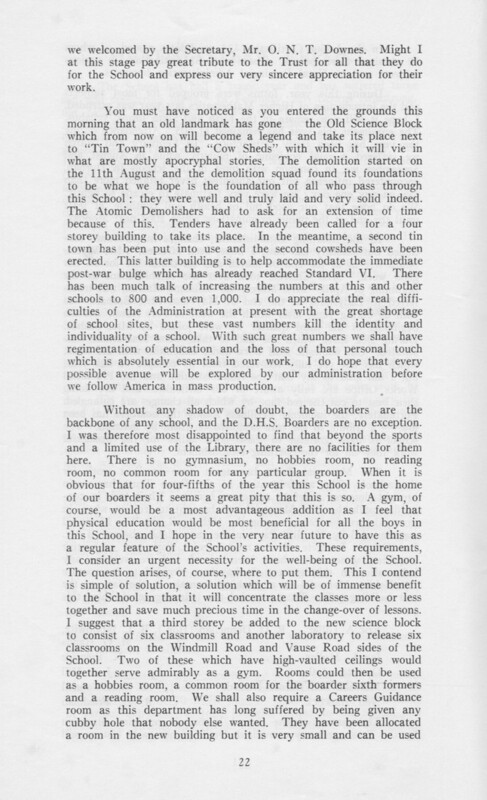 The report for 1958 was delivered by George "Slitty" Armstrong, and the remaining three by A.W. 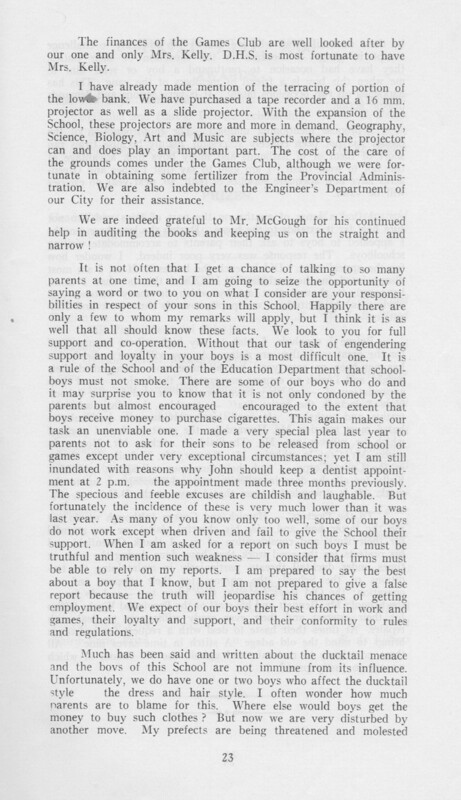 "Wrinkles" McIver. 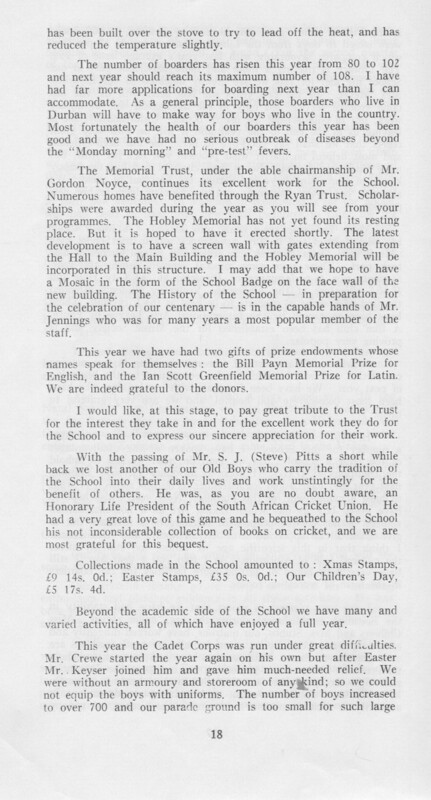 The picture we get is one of smooth progress, punctuated by such minutiae as the purchase of a new typewriter for the office, or the collection of 5 pounds 17 shillings and 4 pence for a Childrens' Fund. 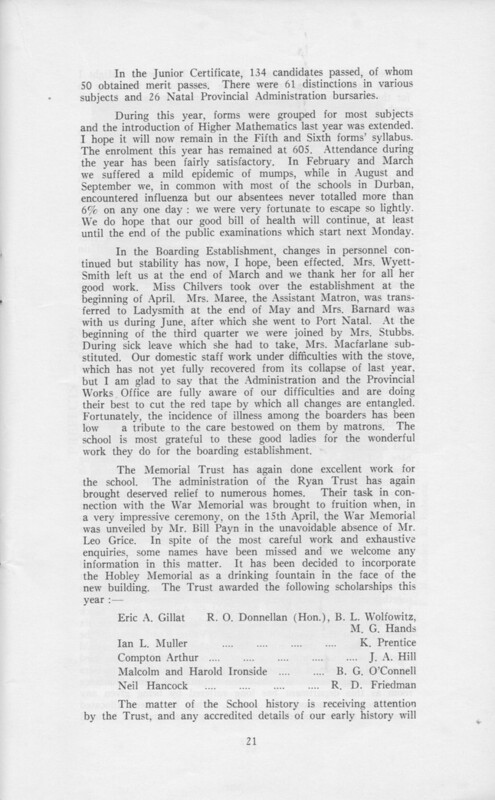 There are some disruptions such as influenza, excessive rainfall, or staff changes. 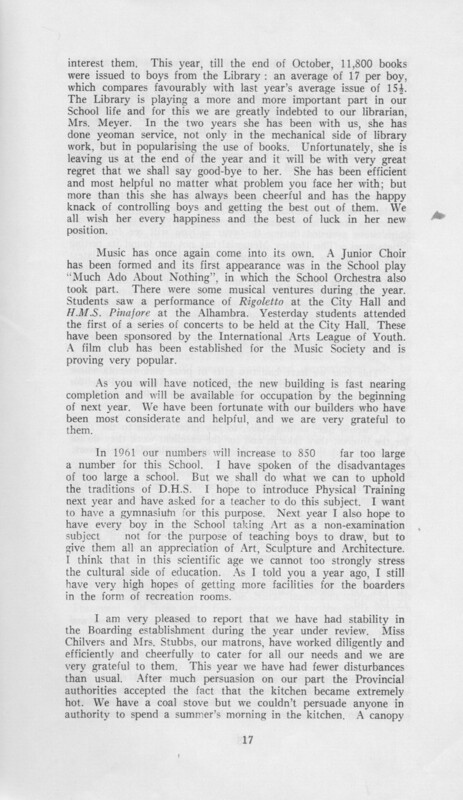 The biggest problems seem to be that the school is growing too large, that some parents are not supporting the school rules, that some pupils are smoking cigarettes, and -- most serious of all, requiring "drastic" action -- that prefects are being threatened and molested by ducktails.